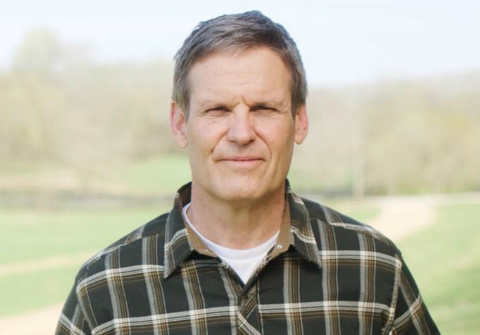 President Donald Trump waded into the Tennessee gubernatorial race on Friday to endorse Bill Lee, the newly-minted Republican nominee for governor. Trump made his announcement only one day after Republicans in the Volunteer State voted in the primary to choose their candidates for state and federal office. Lee, a Nashville business executive, defeated five other better-known candidates for the GOP nod in part by running as an outsider in the president’s mold. Congratulations to Bill Lee of Tennessee on his big primary win for Governor last night. He ran a great campaign and now will finish off the job in November. Bill has my total and enthusiastic Endorsement! Lee, who was in third place only a month ago, garnered nearly 37 percent of the vote on Thursday. He outpaced Rep. Dianne Black and former Tennessee Economic and Community Development Commissioner Randy Boyd, the race’s front-runners, by nearly 100,000 votes. Black was endorsed by Vice President Mike Pence and lobbied intensively to secure Trump’s support during the primary; however, the president opted to remain neutral, according to Republicans with knowledge of the decision. In the final weeks leading up to the primary, the campaign turned increasingly ugly with both Black and Boyd launching negative attacks on Lee and one another. Lee for his part stayed above the fray, instead choosing to run on a positive message focused on his business credentials and lack of political baggage. On election night, the nominee expressed he was “proud” his campaign had refrained from going negative and asserted they wouldn’t be taking that direction in the general election. The candidate’s victory was all the more surprising considering Lee only spent $7 million, compared to a combined $35 million for Boyd and Black. On Friday, Pence echoed the president’s support, asserting “the people of Tennessee” were fortunate to have such a leader willing to “step up to serve.” The vice president also pledged to campaign with the nominee ahead of the November general election. Lee now faces the Democratic nominee, former Nashville Mayor Karl Dean, in the race to succeed two-term incumbent Gov. Bill Haslam (R.), who was ineligible to run because of term limits. National Democrats are optimistic about their chances in Tennessee this cycle, especially as former Democratic Gov. Phil Bredesen will be on top of the ballot facing Republican Rep. Marsha Blackburn for the U.S. Senate. The post Trump Endorses Republican Nominee for Tennessee Governor appeared first on Washington Free Beacon.